Today we had a full rest day at Camp 2 with beautiful weather. 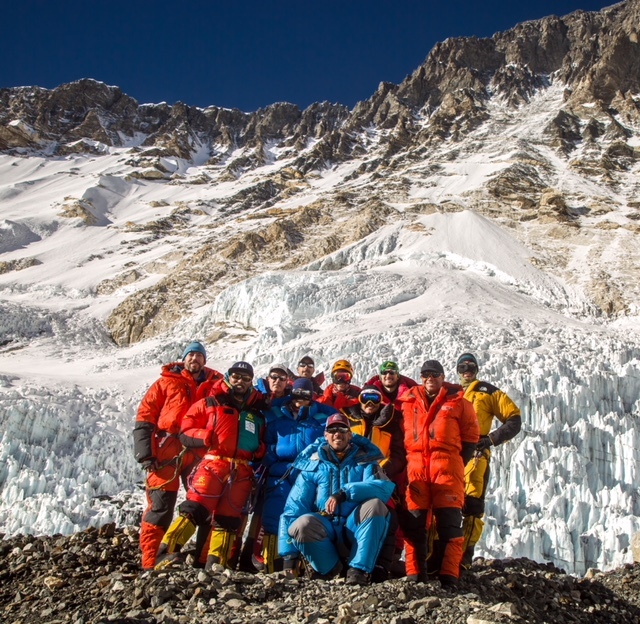 The team is doing great (all pictured here) and today we prepared our gear for our climb to Camp 3 tomorrow. We will climb to Camp 3, spend an hour or so there at about 23,400 ft. and then descend back down to Camp 2 for the night before heading all the way back down to Basecamp the following day. We have forecasted high winds on the mountain for the next few days and we can hear the wind up high but so far we have had very little wind at Camp 2. We will see what tomorrow brings but right now it seems as though most of the winds are staying very high towards the South Col and Summit. I’ll let you know how tomorrow goes but it’s an exciting day as everyone will potentially break their personal altitude records with the climb to Camp 3.